If you believe you are a descendant – direct or indirect – please email me and provide all the details you possibly can. 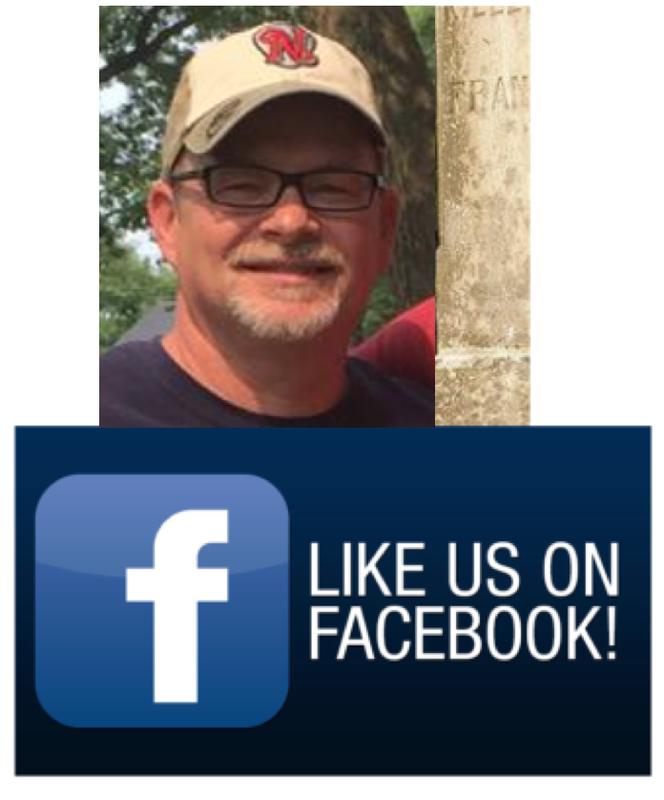 This resource is the primary resource on the Internet collecting, preserving, archiving, and sharing information about the men who fought at Franklin November 30, 1864. To honor your loved one’s memory and service please answer these questions. My name is Jack Taylor and I reside in Columbia, Tennessee. My Great, great Grandfather Robert C. Blakely was at Franklin. He was a private with the 29th Mississippi Infantry Regiment, Company G. Records show he was wounded twice during the war and the first time was at Munfordville, Kentucky where he was taken prisoner and treated at the Presbyterian church there which was converted into a hospital in late August, 1862. Blakely was offered the opportunity to surrender but he refused even though he was severely injured. He was eventually exchanged and fought the remainder of the war until the surrender. He walked home to Duck, Hill Mississippi all the way from North Carolina. He was born 25th of January, 1832 and died 14th of August 1879. I’ll add him into the site. I, recently, sent you some information about my ancestor and I haven’t heard anything in return. Please reply. hello, my geat great grandfather, pvt. andrew jackson layfeyette ill served in company g 112th ill. undermaj. tristram t. dow 3rd brigade col israel stiles, 3rd div. brig. gen cox XXIII corps maj. gen schfield at the battle of franklin. he survived the war. my middle name is andrew after him. Nathan Corley was killed in the battle, he is the Great-Grandfather of my wife. He was buried on the battlefield and disinterred the following Spring by his Father and his Father’s servant (slave) and reinterred either at Gallatin or Hartsville. His brother John survived the War and supposedly walked home from NC after the surrender. John’s sword was donated to the TN State Museum in the 1950s, I believe. John was the son in law of Lt. Col. James Deering Bennet who organized a Cav. Battalion in Hartsville, he fought with John Hunt Morgan in the Battle of Hartsville. Bennett and Morgan ate breakfast in Bennett’s home (which is still standing) and my in laws have the table that they had their breakfast on. Bennett died not long afterwards of pneumonia. I have a book that details much of this information given to me by my wife’s family. Will post more details if anyone wants them. My great grandfather, Gilbert Harrison Tipton, was in the 5th Tennessee Infantry, US during the Battle of Franklin. Above is a link to the website on the regiment. My g-g-g-g Uncle was at Franklin, in the 17th Al Co H and is buried at McGavock; He was Francis M. Eddins (Canteys Brigade) I see that there is another decendant who has a relative from the 17th buried in McGavock also. Is there anyway to connect with her? Keep up all the good work on Facebook and thanks for bringing Franklin to so the attention of so many people who might not know about it otherwise. Karen, my g-g-grandfather was in the 17th as was my g-g-uncle. My g-g-uncle is buried in McGavock. Feel free to email me at susan0326 at gmail dot com and we can share information. My great Grandfather, George Washington Wheless (misspelled Wheeless in records) joined the Confederate Army July 13th 1862 when he was twenty seven. He fought in the Battle of Franklin and survived. Originally in the Company E 9th Battalion Georgia Infantry until the 9th combined with the 3rd to form the 37th in May of 1863. He served in Company H, 37 Georgia Infantry, Bate’s Brigade until the surrender with Johnston’s troops in North Carolina in April of 1865. Company H fought in all major battles in Tennessee and Georgia, losing 50% of the company at Chickamauga. I know my Great-grandfather was very proud of his service. He stated in a transcript to my Grandfather that he did not believe in secession but “When his Country called, he volunteered”. He attended the 1912 Confederate Veterans reunion in Macon and his tombstone states that he was in Company H 37th Georgia Volunteer Infantry. My name is Joy Malycke and I reside in Purcellville, Virgina. My Great Grandfather was Samuel Mann. I am curious to know if he participated in the Battle of Franklin. He enlisted as a private with the 104th Ohio Infantry Regiment, on 8 August 1862 at age 27. He mustered out 30 June 1865 at Nashville, Tenneessee. He was born November 1833. My great-great grandfather was Sergeant Solomon Skelton, Co G (Barry Guards), 5th Mississippi Infantry. He was wounded and captured at Franklin. His brother, 1SG Absolom Skelton, also of Co. G, was also captured. My great-grandmother’s brother (on my father’s side) was at Franklin. His name was George Stanley LOCKWOOD. George enlisted in the 74th Illinois which was mustered in at Winnebago County, Illinois. The 74th Illinois was part of Opdycke’s Brigade. George was in Company H. He was born 27 Sep 1843 and died 25 May 1888. The 74th Illinois engaged in battles at: Perryville, Stone’s River (Murfreesboro), Tullahoma Campaign, Chickamauga, Missionary Ridge (Chattanooga), Atlanta Campaign, Spring Hill, Franklin, Nashville – It is amazing to me that anyone could have survived all those battles. My great-great grandmother’s second husband (on my mother’s side) was also at Franklin. His name was Washington J. Smith. He was in the 8th Iowa Cavalry Regiment. Washington was born 28 Aug 1836 and died 4 Mar 1903. Dennis, I’ve blogged several times about men of the 8th Iowa Cav. My third great grandfather William Diamond Stone of South Carolina, his gravestone is shown in the graveyard montage I just watched! Spelled W D Stone on the marker. Hello cousin, I’m W D Stone’s direct grandson. I grew up on the farm he bought in Donalds, SC in 1856. I would like to know anything you have on him. We had a letter written by him to his wife to pay the farm off with confederate money because it would soon lose it’s value. It was dated two weeks before Franklin. I am a direct descendant of John Calvin Cox, private, Arkansas 7th Infantry, in Cleburne’s Division, Govan’s Brigade, Company K at the time of the Franklin. He was wounded at Shiloh, Missionary Ridge and twice during the Battle of Franklin. He was captured on December 17th, transferred to the Military Hospital in Nashville to treat his wounds. He was sent to Rock Island Barracks in mid-February. He remained a POW until he signed his Oath of Allegiance on June 17th, 1865. He returned to Cardwell, Arkansas, married and raised a large family. We know he died of pneumonia at 52 years of age. We have been unable to find where he is buried. My great great grandfather was Capt Benjamin Randals. Originally of Co I he rose from the rank of sergeant in the 16th Regiment. He was captured at Franklin and spent the remaining time of the war in a prison camp in Ohio until his release in July 1865. My great great uncle Samuel Lusk also of the 16th was KIA at the battle of Franklin. I would like to add two relative/ancestors to the list of veterans of The Battle Of Franklin. A 3 x great uncle, Private William Andrew Blakely and his son, a 3 x 1st cousin, Private James H. Blakely. They were Union soldiers from Sullivan County, in upper east Tennessee. They enlisted March 20, 1862 at Camp Garber, Kentucky. James correctly gave his age at 18, William, on the other hand, apparently determined to go with his son, said he was 30. He was probably past 40 ! William was a teamster, James served as a Private. Both men survived Franklin. Both survived the war. In his pension application, William mentions among his several ailments, being “mashed by a wagon”. James is mentioned in “A History Of The First Tennessee Cavalry”, written by W.R. Carter, veteran of Company C, in the early 1900’s. There he states James was the last member of the 1st Tennessee wounded in the war. He was one of those shadowing Hood’s retreating army in Feb.1865 when he was ambushed. William’s younger brother Jackson was in the Union 8th Tennessee Cavalry Co.G, and died a P.O.W. in April, 1864 at Danville, Virginia. He was my paternal grandmother’s paternal grandfather. Their youngest brother Henry was a Confederate in Co.B 61st Tennessee and died of disease in Mobile, Alabama in August, 1863. James married Nancy Brooks in Greene County, Tennessee in August, 1865. James carried on the brick mason trade that was prominent in his family. In 1880 they are in Georgia. they later settled in Tallassee, Elmore County, Alabama where James died in 1908. Feel free to contact me at landglenn@yahoo.com with any additional questions Thank you Kraig ! Hi again Kraig, I resent the info (via e/mail) on the father/son duo of William Anderson Blakely and James Blakely of the Union 1st Tennessee Cavalry. I recently emailed you information on my great grandfather, Fielden Straughn Dailey, 17th Alabama Infantry, Co. H. Sustained a head wound by a minie ball during the battle. Sent you photos, background material, etc. Let me know if you did not receive and I will resend. Milton R. Scholes would be my 2nd Great Grandfather. His son, Edmund B. Scholes, then his daughter, Annie Lucille Scholes Forrest, and my father Robert P. Forrest. A private of Co. F, 111th, Ohio Volunteers, enrolled on August 15, 1862. He was wounded in the stomach by a musket ball in the battle of Franklin, Tennessee on November 30, 1864. He was honorably discharged at Salisbury, N.C. on June 27, 1865.